It was another roller coaster month but life goes on! CZM and I are preparing our wedding invitation cards, about 4 more months to our big day! 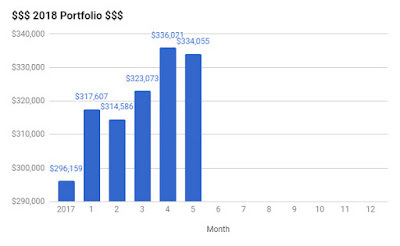 Our portfolio decrease by -0.59% to $334,055 - $9,252.77 of capital injection and $11,218.72 of capital loss. It seems like we lost and bought a lot this month. 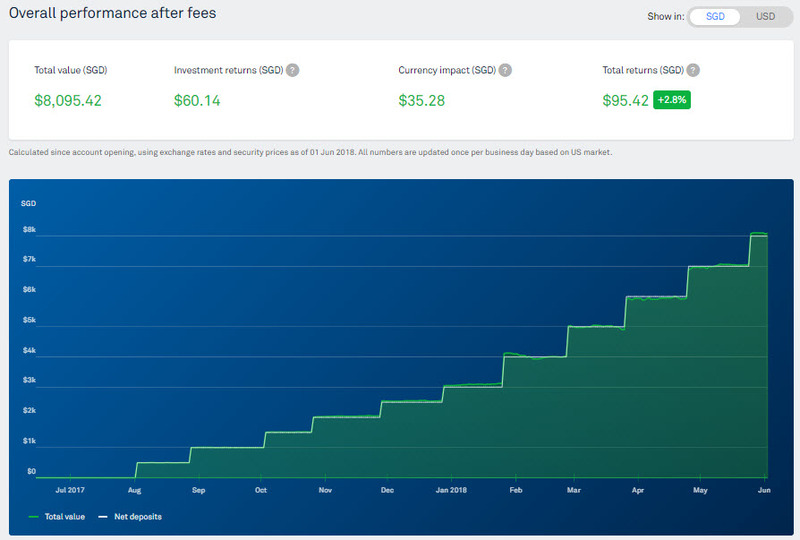 A total dividend of $2,683.38 was paid in May and we merely reinvested/redeployed the dividends into the market. In fact, apart from Lion-Philip S-REIT ETF which was a planned purchase as part of our new strategy - New Singapore Budget, New REIT Strategy!, the other purchases were either a surprise or an opportunity in our opinion. I blogged about the Keppel DC REIT Private Placement and we were allocated 3,000 units (out of 8,000 units) from the placement. We bought more of Capitaland and Singtel when the market went down. It is interesting to note that both companies have been/are performing share buyback recently. You can refer to this - Why Would A Company Buyback Its Own Shares? by Investopedia to understand the significance of share buyback.